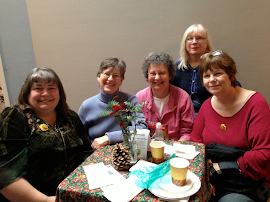 Four out of five Nearby Norwegians made it to this year's Yulefest at the Nordic Heritage Museum in Seattle on Sunday, November 20. Within a few years, the Nordic Heritage Museum will be moving to a brand new site, and we'll have more to explore during our Yulefest get-togethers. 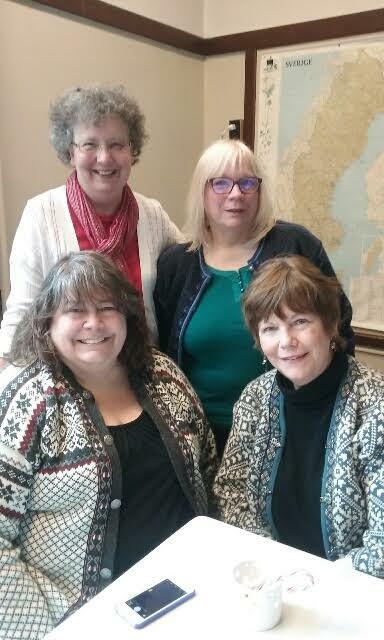 Clockwise from upper left: Carolyn Merritt, Chery Kinnick, Cathy Lykes, and Luci Baker Johnson (missing this year is Barbara Holz Sullivan).